For other languages: Click ‘Translate’ button. 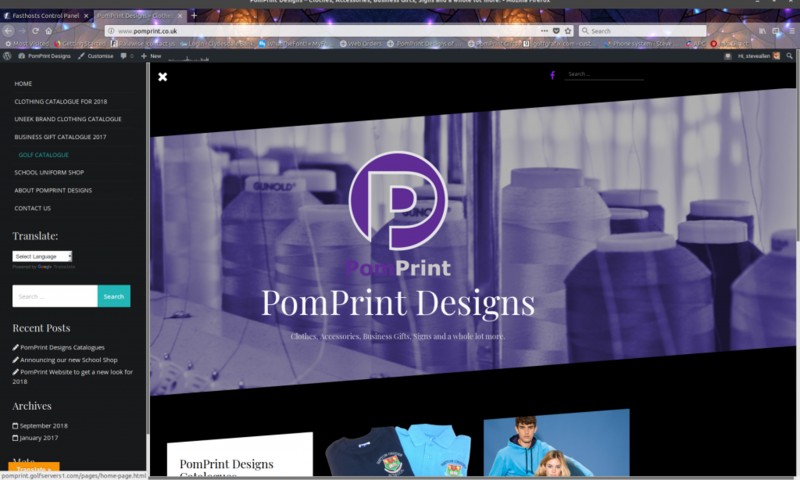 The PomPrint Designs group of websites now uses www.pomprint.co.uk as the primary gateway to all parts. They will appear on the home page in chronological order (newest first). Access the Corporate Part via the menu on the left side of the screen. Click on the three white line icon in the top left corner. 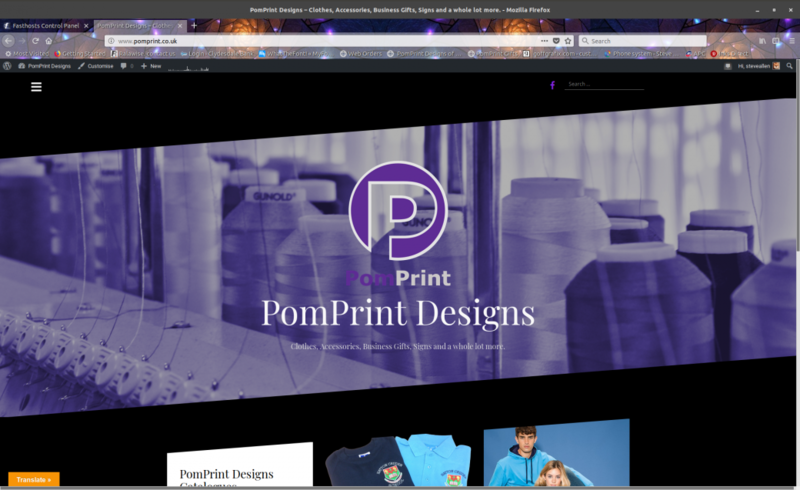 This shows the PomPrint website home page before opening the menu bar. This is opened using the 3 white lines in the top left corner. 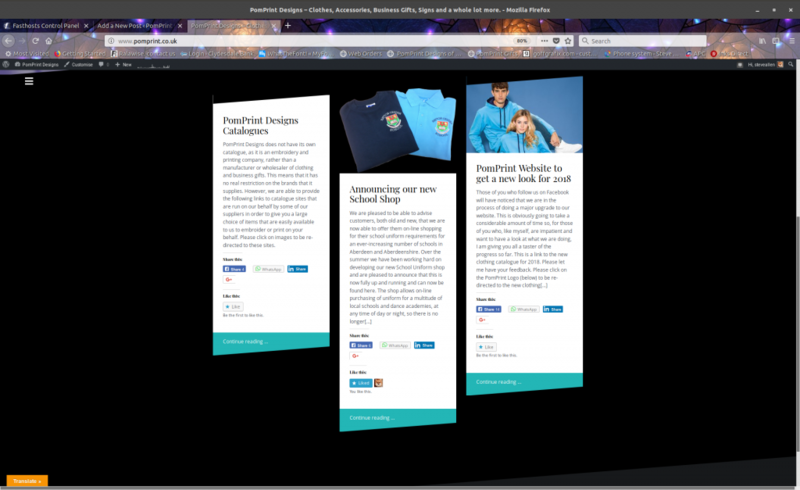 Example of news reel items that can be found on the PomPrint website. Click the three white line icon, we open up the main menu with the links to the catalogues and commercial sites. For those customers who do not have English as a first language, there is a ‘Translate’ button at the bottom left which will translate automatically the contents into a variety of languages that we believe to be spoken in the North East of Scotland. I hope that you all enjoy using our new web site.